I love the name of Chico’s chic athleisure collection, Zenergy! Isn’t that what we all want … the perfect blend of Zen and Energy?! Chico’s latest Zenergy offerings are just right for winter-to-spring athleisure, perfectly comfortable for activity … or inactivity! 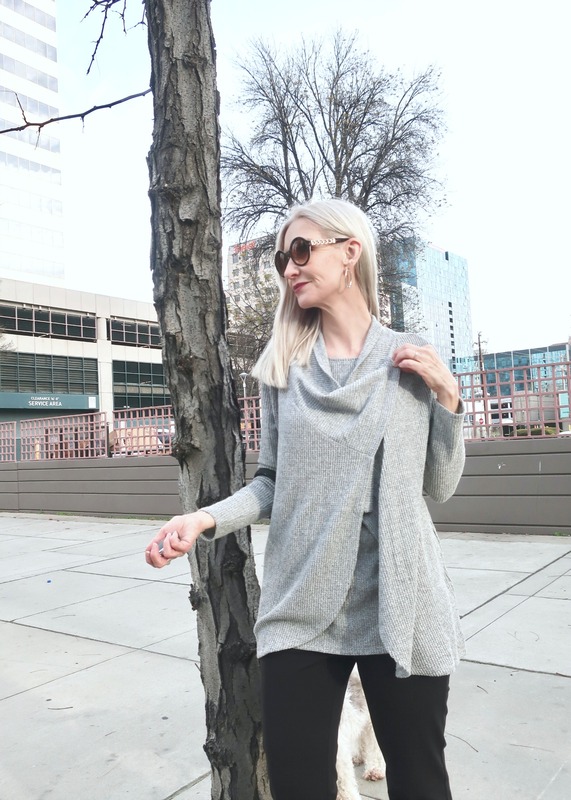 This post is a collaboration with Chico’s, a brand my readers know I adore! One of my favorite simple pleasures in life is walking my dogs. We’re all happy, getting some exercise and fresh air, off on a little adventure together. And as much as I love fashion, I have little patience for being uncomfortable, especially when it comes to chasing my fur babies around. My fuzzy little mutt, Lucky, had a ball playing model for this photo shoot … and he totally matched my outfit, right? The perfect relaxed cardigan gets an upgrade with a cool waffle texture and the ability to snap it into a different shape as well! Get the matching tank to complete the look. There are seven beautiful shades to choose from, and I doubt you can pick just one! I’ve been on a gray kick lately, but I also have my eye on the Mystique Purple and the Enamel Red. Don’t miss the new color of spring either, Hydrangea Blue! I love stretchy pants, but sometimes if there’s too much stretch the fabric clings more than I like. These Pull On Pants are the perfect blend of stretchy without any cling. Super comfortable for any activity or inactivity. The perfect classic accessory, the silver hoop earring, also gets an upgrade with a subtle inner ring of bling. Perfection! Flattering sunglasses in THE print of the year, with a fun touch of glam on the sides. Where would you wear this look? Dare I say EVERYWHERE?! 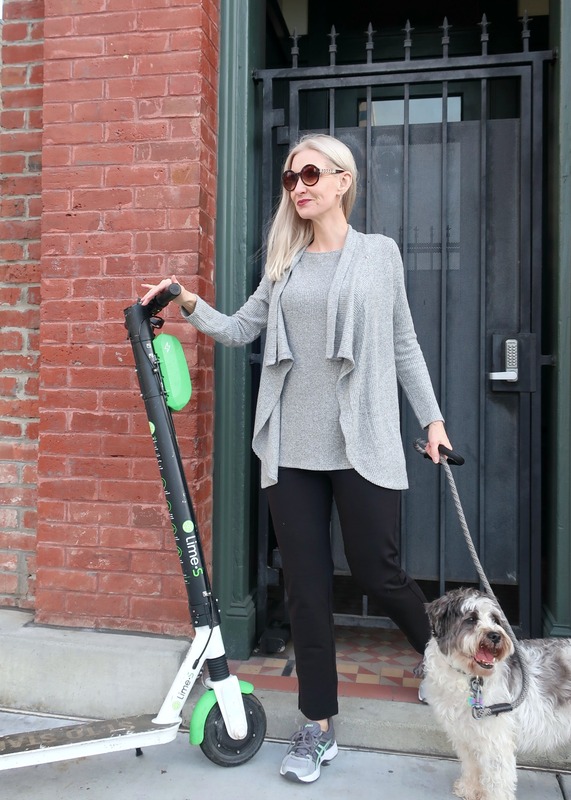 For walks, yoga, exercise … for weekend errands and outings … for Netflix & lounging …! Just add some cute booties or slides, and you’re looking fabulous for a lunch date or even a casual work environment. Be sure to check out the whole fabulous Zenergy collection! And don’t miss a moment of my NYFW adventure to come. Join my mailing list for all the behind-the-scenes chit chat! 2019 is shaping up to be an amazing year, right Dolls?